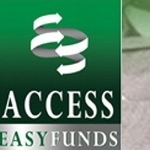 AccessEasyFunds Ltd is Canada’s leading commission advance company. Located in Richmond Hill, Ontario, the real estate commission advance company was established with two primary goals in mind - to provide a cheaper and fairer commission advance alternative to Canadian real estate agents; and to provide a wider array of commission advance services with fewer restrictions and more in line with where the real estate market was at the time and where it was heading. AccessEasyFunds purchases real estate agents’ commissions at an affordable discount so they can advance the date upon which they receive payment of their commissions. There are no credit checks, admin fees, no hidden fees, and no holdback reserves. The comapny works with all Canada franchise groups, independent brokerages, and they have extended their advance services to commercial deals, new construction and pre- construction; and lease transactions. AccessEasyFunds is constantly researching new approaches to better serve their customers.